Exploded across multiple projections and different media, this live cinema performance layers together stunning documentary footage and motion graphics with an original, live electronic musical score to transport its audiences on a journey through its universal narratives. Filmed on location across Peninsular Malaysia, this live audio-visual performance explores the relationship between identity, ritual and place. SuperEverything brings together a cutting-edge collection of the UK’s and Malaysia’s leading musical and visual artists to form this unique audio-visual collaboration. 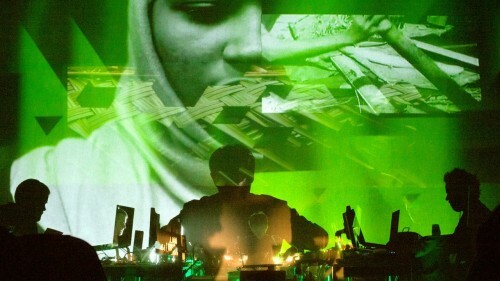 The resulting soundscape combines traditional South East Asian instruments, western classical compositions, field recordings and electronic synthesis, all of which are manipulated live and complemented by a stunning, immersive visual experience. From our relationships with each other to our relationship with our environment, SuperEverything surveys our everyday rituals to reveal what unites and divides us.